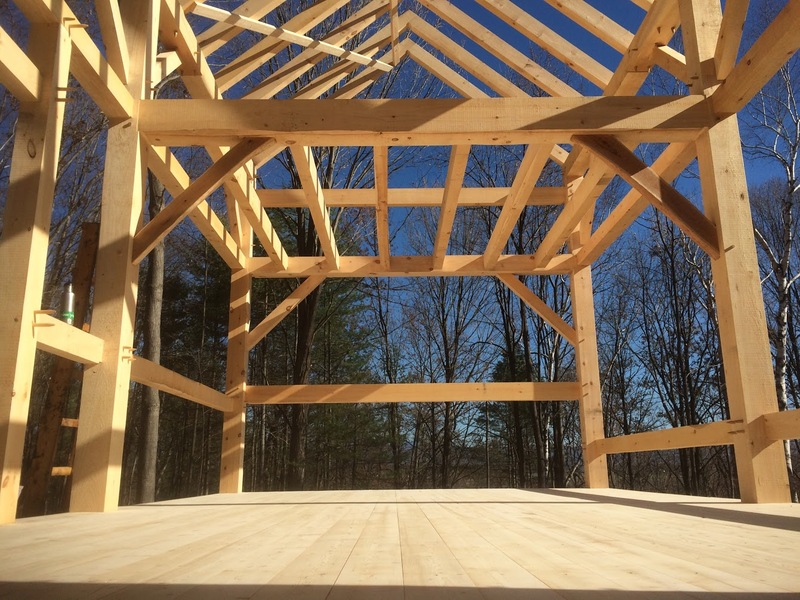 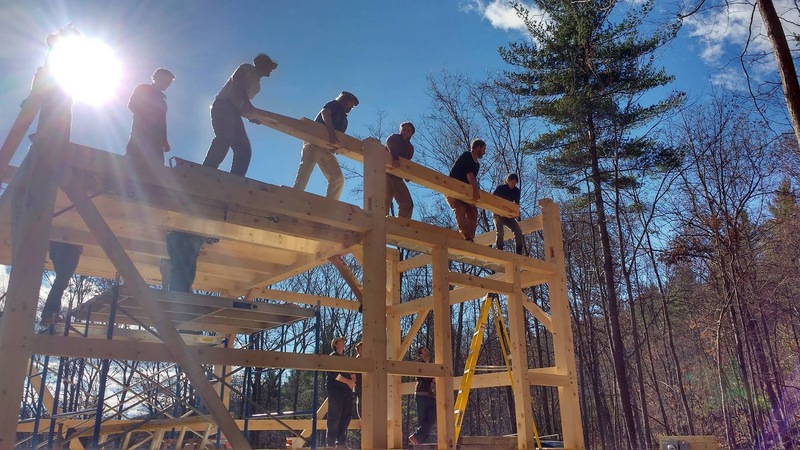 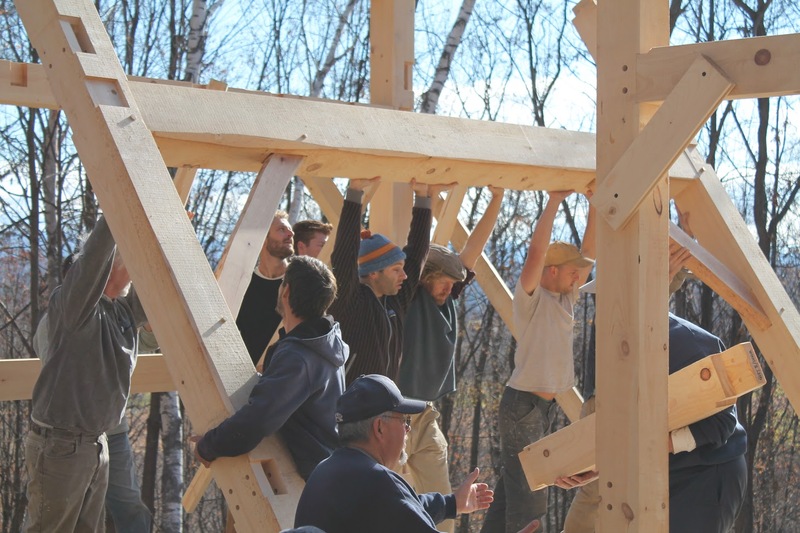 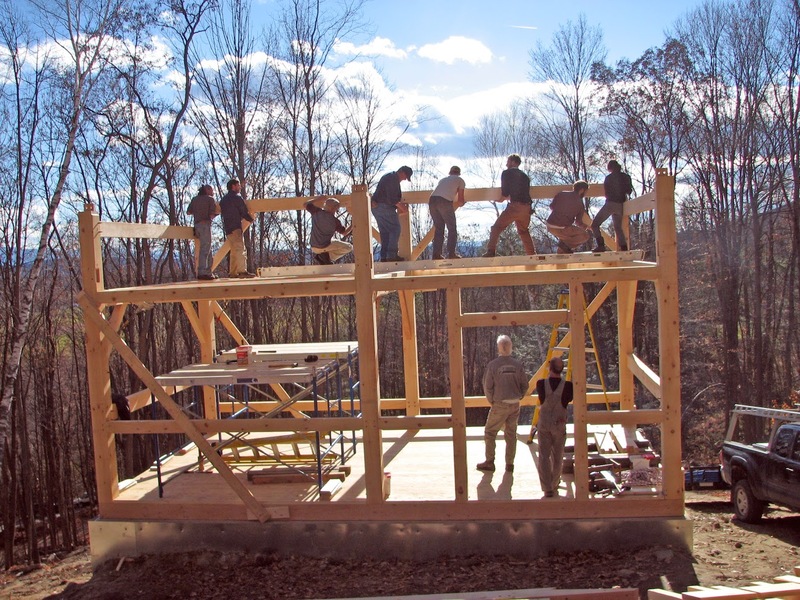 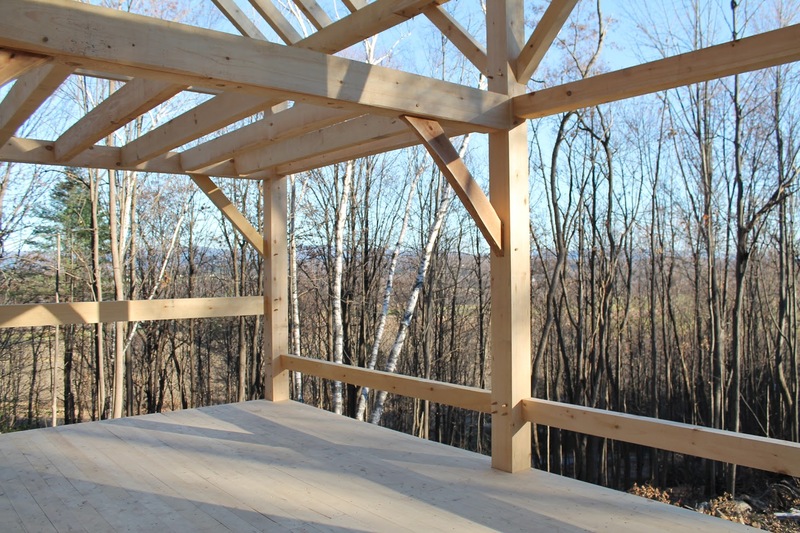 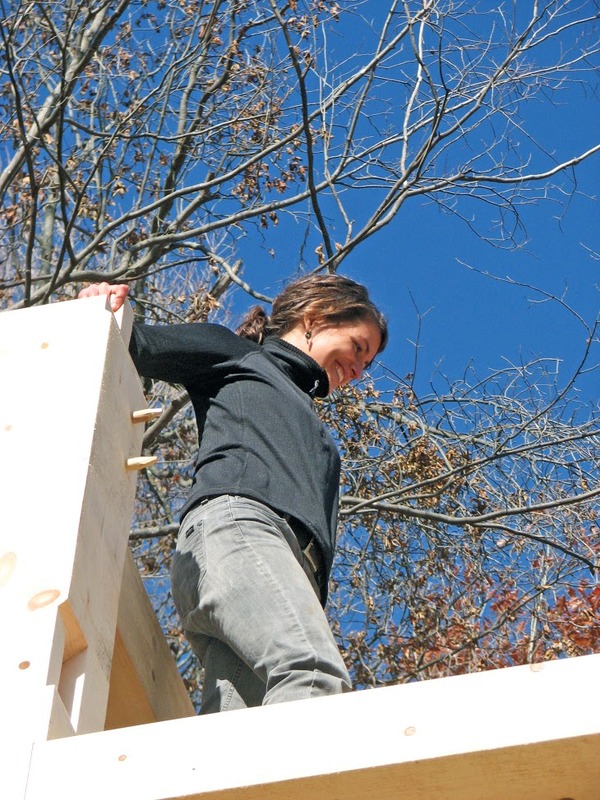 In the fall of 2015, we had the honor of cutting and raising a frame for the cabin home of some local friends, on a steep and gorgeous site in Weybridge, VT. All of the timber for the frame came from the site. 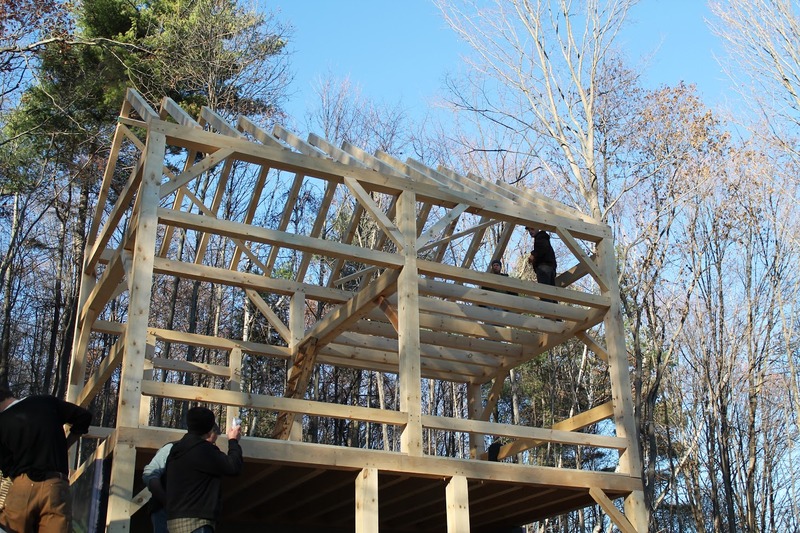 We were involved in the project from the early stages, consulting on cabin design, subcontractors, and enclosure. 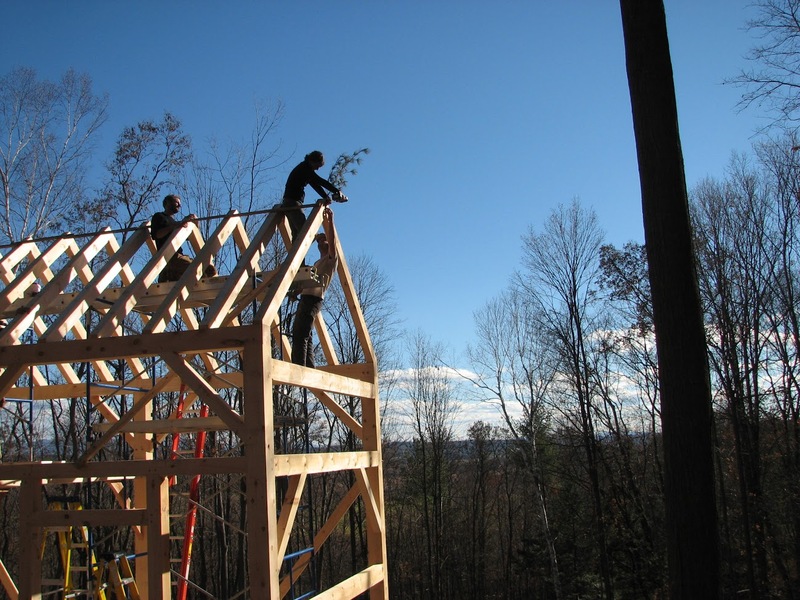 The clients are enclosing and finishing the building themselves.